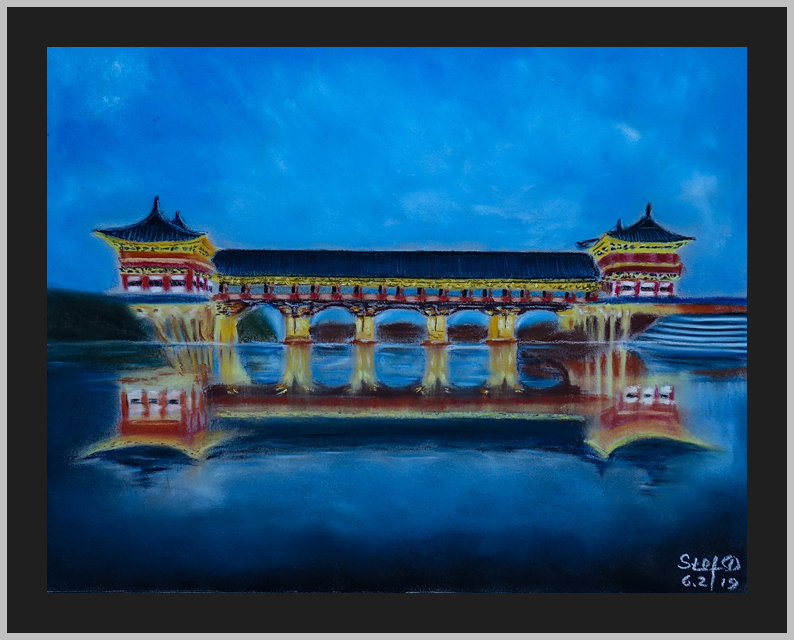 Today I wanted to present you my pastel painting that is based on slowwalker’s post about Woljeonggyo Bridge in Gyeongju, Korea. 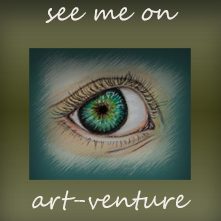 The post was done 10 months ago and that time when I saw it I already thought that I am going to do it. The photo has captured a good moment of evening, not very dark but also not much light around, the details of architecture is perfectly seen. If you are interested in the details, I will leave a link to his post. I would like to thank you @slowwalker for such beautiful photo and for your interesting post about the place. I decided to use pastel in order to do reflection and I thought that it would be better due to so many colors from the lights of the bridge. I spent almost a day in order to create small details, while working on them I thought that may be another medium would be better but I am curious to hear what do you think about the result of my work.